When a mistake gets into a story, news agencies typically move quickly to correct the record. Attorneys may join the conversation if a grievance reaches a particular level – libel (the story carries false accusations and it damages someone’s reputation) or defamation (true or not, someone’s reputation has been damaged). Complicating things today, we have online platforms that allow anyone to publish anything. So what previously has been black and white with libel and defamation now is a soupy gray, especially when it comes to social media. Indeed, Twitter + libel = Twibel. There are many reasons you should be afraid of it. There aren’t many Twibel cases out there. Singer Courtney Love, widow of Nirvana front man Kurt Cobain, made history as the first person in the U.S. to go to trial over an alleged defamatory tweet. Love was being sued by her ex-attorney over a tweet that crossed in 2010. A jury ruled in favor of Love in 2014, saying the plaintiff didn’t prove Love knowingly made a false statement on Twitter. The First Amendment protects all opinion, so you’re free to share your opinion of anyone as long as you’re not misstating facts, says Paulson, a former USA Today editor. He gives an example: You can say your mayor is the worst your city has ever had, but you can’t say he’s been embezzling from public coffers. In the case of tweets, most aren’t actionable because they involve opinion, Paulson says. However, adding to the messy is that most folks forget they’re dealing with the law at different levels. State laws obviously differ from state to state. Wes Baker, communications professor with Cedarville University, says he makes his journalism students review the state law as part of their semester study. “You’ve got to learn what’s going on in the state you end up,” Baker said. Who’s Protected as a Journalist? At this point, there’s no easy answer. There have been cases of bloggers who haven’t met the qualifications in the state law as journalists. In order to qualify for the Ohio Shield Law, you must be employed with a licensed radio or TV station or be working for a newspaper or magazine. Baker says that in some cases, judges look at several things: Do you follow the process that a normal journalist follows? Do you talk with multiple sources? Do you work with an editor? Let’s also be frank. Logistically, it’s expensive to sue. Hajir Ardebili, special counsel with Kelley Drye & Warren LLP, has been practicing law for 14 years. His areas of expertise include internet and media law, copyright matters, and First Amendment work. 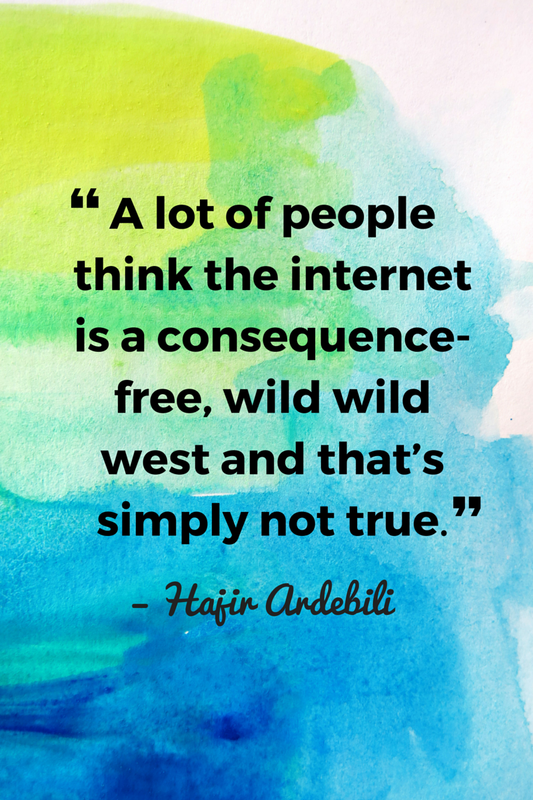 Ardebili says folks need to keep in mind that even posting anonymously doesn’t protect you. Where possible and particularly where you might take a controversial position about another person, it’s better if you can couch your statement as an opinion rather than an absolute statement of fact. To be subject to a defamation lawsuit, the statement of issue must be one of fact, not opinion. If you must state something of fact, confirm that your factual statements are true or at least that they can’t be proven false. You’re safer if you’re sharing someone else’s statement than if you’re the originator of a statement. Public figures are safer subjects than private individuals. If you’re a journalist or blogger and you’re talking about a public figure, you have a little more leeway than if you’re writing about a private person. If you’re going to write about a private individual, take extra care to make sure what you’re writing is true or can’t be proven false. If despite taking all this care, you blog or publish something and someone wants to sue you for defamation, you always can offer a retraction or correction. Publish a statement that says certain facts turned out not to be correct, and make a new statement that is correct. This can blunt the negative impact of what originally was published.